Review: "Christine. You are going to LOVE this book. It is so good. I can't put it down!" I can't tell you how many people have told me that over the last year. So imagine my surprise when I started this book and it was all I could do not to fall asleep reading it. 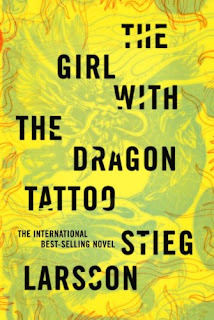 "The Girl With the Dragon Tattoo" (or 'Men Who Hate Women' in its native tongue) has two primary story lines, both involving a financial journalist, Mikael. It starts with Mikael being sued for libel against a billionaire and being sentenced to a few months in prison as well as a hefty fine. He is then offered a job by an old man to research a cold case. The man's grand-niece has been missing for 40 years and he believes someone in his family killed her. He entices Mikael to move to his small town for a year and research the case. Mikael cannot refuse when the man, Henrik, offers him a lot of money. 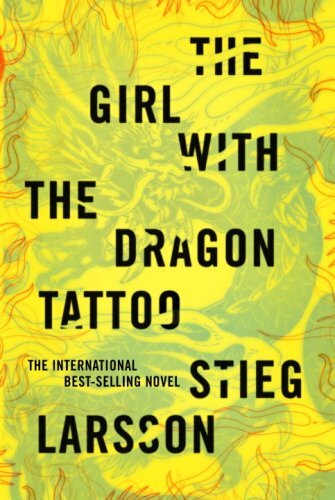 The title references a researcher, Lisbeth, who eventually joins Mikael in his research. This book had a lot of promise. From what I've read, the author planned a series of 10 books but died after delivering 3 manuscripts to his publisher. It is very obvious this book was not edited. Multiple pages are spent introducing characters that aren't necessary to the story (there are only a few members of Henrik's family integral to the story yet closer to 15 are introduced). My biggest complaints are that the book moved so slow, was extremely repetitive and details were included that had little to zero impact on the overall story. Case in point, we were told every time Mikael ate a sandwich. I cannot tell you how many sandwiches he ate...but you could start a drinking game with all the references. Larrson described every room down to the foot and he seemed very interested describing computers in extreme detail. The book did finally pick up about 3/4 in. However, when the cold case is solved, another 100+ pages devoted to the billionaire that sued Mikael. It should have ended when the cold case was solved. Overall-I didn't hate this book or love it. Like I said above, with editing it could have been really good. I'm not invested enough in Mikael (I didn't mention he is a ladies man who sleeps with almost every female character in the story) or Lisbeth (a punk hacker who is a ward of the state, which is not explained but I"m guessing is addressed in the next books) to read the next 2 books which are published, although I'm told book 2 is much better. We'll see-maybe I'll read it eventually.